Our race proven sponsons deliver a significant handling improvement through increased adjustability, strength and design. 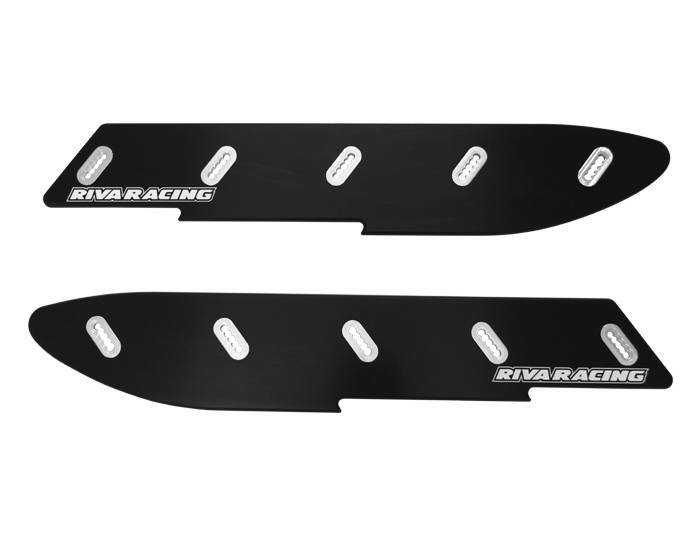 Adjustable billet aluminum stabilizer wing allows you to tune lean-in handling characteristics. Bulletproof aluminum mounting inserts add strength and increase vertical adjustability. Sponson fins are precision machined from high strength material that will not flex under extreme conditions. High strength fin material and billet mounting inserts will not flex. 5 adjustable mounting positions up & down.